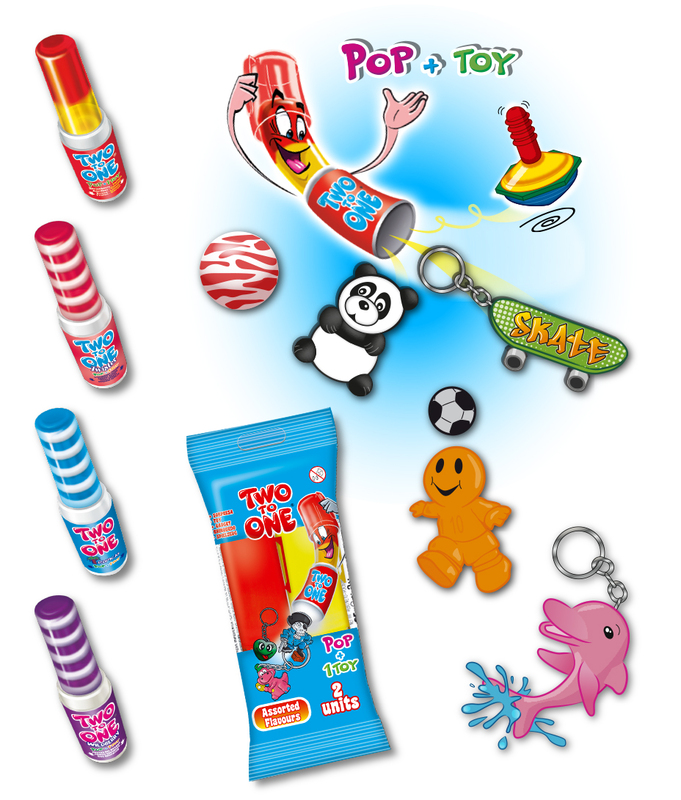 TWO TO ONE® is the leading “Candy + Toy” in Europe. TWO TO ONE® offers a big variety of collectible surprises. TWO TO ONE® is available in a great variety of candy flavours. TWO TO ONE® is a long lasting, great tasting candy (25g). TWO TO ONE® is protected by a cap that allows consumers to reseal candy after each use and consume it in several times.